← Prayer works–or does it? Shall we ask the murdered? 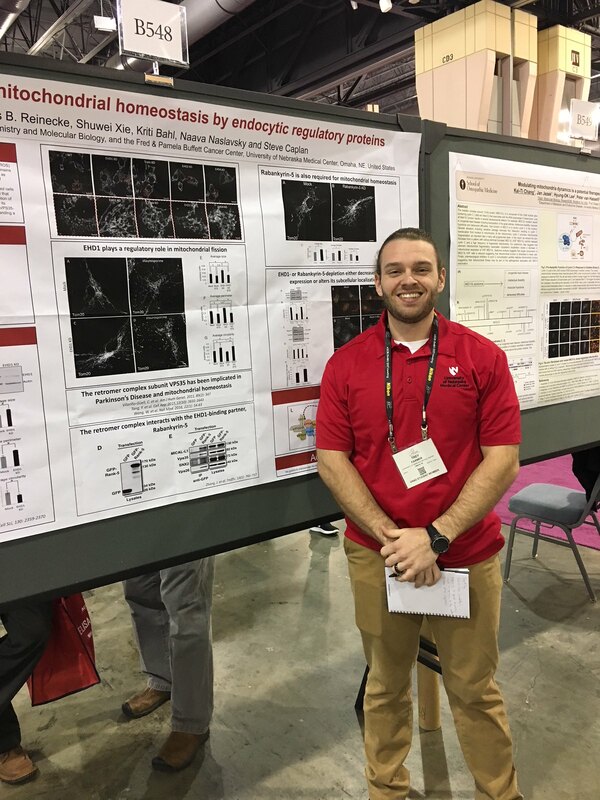 This past week, my graduate student, my post-doctoral fellow, and I flew out to Philadelphia for the annual American Society for Cell Biology (ASCB) meeting. This 2017 meeting was my 20th year as an ASCB member, and marks 20 years since I first attended the ASCB meeting in Washington DC, 1997, when I came to present my research and simultaneously interview for post-doctoral positions. Shuwei and Trey at their posters. The ASCB meetings, while continuing to be a highlight for me, have evolved greatly along with my career. In the earlier days, the poster presentation and speeding through the enormous poster hall to visit other posters was always the most exciting part. Feedback at one’s poster–positive or negative–was extremely helpful, and there was a certain thrill to having strangers scrutinize my work. Today, meetings are very different for me. First, being a cell biologist on a campus with a primary focus in cancer and other disease-related or translational research, this is my opportunity to show my younger co-workers that our field is not obsolete, and that we belong to a wider community of researchers who DO have a keen interest in our fundamental research. It’s an eye-opening experience for my younger students when they attend their first meeting, and realize that there is an entire community “out there” that doesn’t merely say “nice work, but what impact does that have on cancer,” and truly shows appreciation for our studies. Another intriguing thing about ASCB is that over the years, I have picked up responsibilities. As a member of the ASCB Public Policy Committee (PPC), we had a 3-hour annual meeting–and while incredibly important, it unfortunately fell during the time that 3 extraordinarily great researchers were giving talks. Even the fabled poster sessions are no longer what they used to be. Once, as an anonymous young student who knew almost no one in the field, I could wander happily from poster to poster with no interruptions. Today, (and no complaints) I find myself being stopped dozens of times by friends, acquaintances and long-lost colleagues, often making it impossible to actually get to the next poster. But then, that becomes the purpose of these meetings, meeting old friends and chatting about science. Sometimes terrific collaborations ensue, even if I never actually make it to the next poster. Sadly, I noticed another not-so-positive change. All ASCB meetings have traditionally been packed with exhibitors and vendors from all companies that sell scientific reagents: antibodies, inhibitors, equipment, microscopes, books, etc. Journals and the National Institutes of Health typically have booths with opportunities to meet editors and scientific liaisons. However, this time, I noticed a booth that I had never seen before: one for immigration lawyers. I am not belittling these lawyers (although lawyers do deserve belittling in general), but I have never before noticed immigration lawyers peddling their services to international scientists at this meeting. I know that perhaps this is helpful to foreign-born scientists working in the US, but to me, this was a sad sign of the times that the current administration is driving talented and good people away from the US. 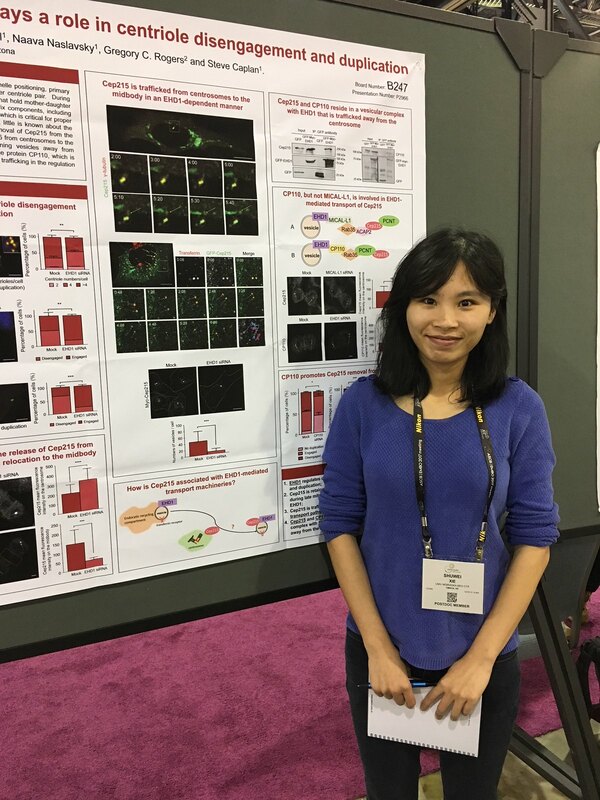 This entry was posted in research, science, Uncategorized and tagged American Society for Cell Biology, ASCB, immigration, postdoc, posters, presentation, public policy committee, student. Bookmark the permalink.